The course is run to a nationally agreed framework and equips staff with the key requirements to become a confident and competent Visit Leader. The course outlines key considerations in planning educational visits, understanding effective supervision and applying sensible and proportional risk benefit assessment. One of the main barriers for outdoor learning is staff confidence, in a world of no win no fee many feel that taking learning outside exposes them to risk. 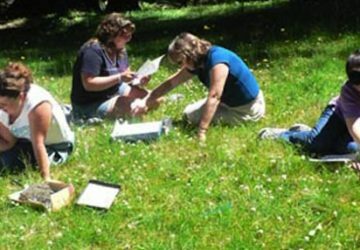 This course looks at litigation real and perceived risk and the benefits of outdoor learning. This course is particularly suited to whole school teams or schools operating within a cluster. This can be delivered in the schools locality.